This week we're joined by friend of the podcast, writer and director Sarah Adina Smith. You may know her from her feature film Buster's Mal Heart starring Rami Malek. But she's also directed episodes of 'Wrecked', 'Room 104', and 'Legion'. 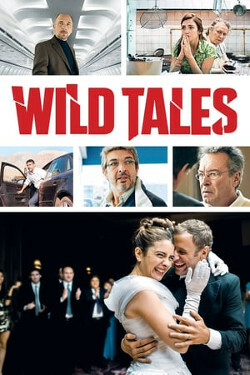 Sarah was actually the very first guest on our pilot episode of the podcast, so it's so good to have her back to discuss Damián Szifron's Wild Tales. The film is made up of six short films of comical revenge. Sarah and April dive in to what makes this movie "clean" and "perfect" - as they call it. Sarah reveals that she shares some similar obsessive qualities with director Szifron. She also talks about how a location is just another form of casting. This episode is a really fun discussion about following your instincts when creating art. You can watch Buster's Mal Heart on Netflix now.